Leeds agency Umpf has launched a creative studio to meet a growing demand for design services across the business. 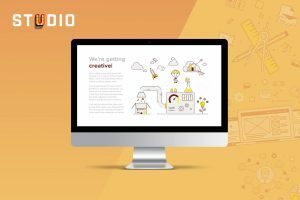 ‘Studio’, led by designer Darren Palmer, will offer a range of services including graphic design, social content, branding, web design and animation. The new department launches with work for existing clients – including New Zealand shower brand Methven, Trinity Leeds and White Rose Shopping centres and home appliance brands Lec and Stoves – as well as a new creative-only win for the NHS. Umpf MD Adrian Johnson said: “The demand for creative, particularly social graphics, GIFs, animations and video, has been growing at such a rate that it made sense to bring talent in-house rather than outsource. Established in 2009, Umpf currently has 10 staff and is based on The Calls in Leeds.